No visitor can walk by this building, complete with mail drop and old Glory flying out front, without stepping inside. 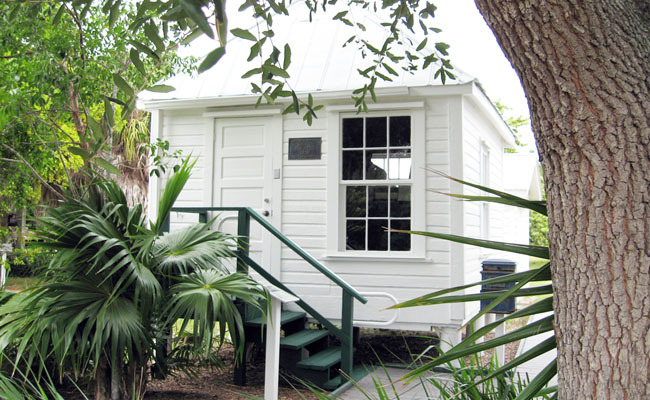 The Sanibel Post Office was chosen as a test site for rural mail in 1895 and permanently established on April 2, 1900. The mail sack was put off the steamer at Will Reed’s dock on San Carlos Bay. The front porch of his house served as the post office. After the hurricane of 1926 washed away Reed’s house, there was enough debris found to build this small post office. Will Reed was postmaster until 1940.